Eating and drinking too much at Christmas is inevitable but spending too much on food is not. The most common tip for saving money on the big Christmas shop is that your usual supermarket may not be the cheapest option. Comparison site mysupermarket.co.uk is useful for comparing prices on a number of items but does not include alternative options like small shops or markets. It is definitely worth shopping around for cheaper alternatives as the difference in price on very similar items can be remarkable. Another good idea is to get together with friends and family members to bulk buy to get the best deals. Finally, and probably controversially, is to consider something other than the traditional Christmas dinner. Do you really have to have turkey? If you’re not dead set on having the same dinner every year then it could save money to try something different this year. Food may be a big expense at Christmas but it is often overshadowed by the cost of the presents, especially when children are involved. Fortunately, there are all kinds of interesting and creative ways to save money in this area. For adults, it’s an oldie but goldie tip of doing a Secret Santa. Why buy lots of presents when you can get away with just buying one? For young children, a nifty trick is to put everything in big boxes even if the actual present is quite small. Packing peanuts can be bought in bulk quite cheaply and will add greatly to the excitement. Hollowed out books – Have you seen the Shawshank Redemption? Remember where Andy Dufresne hid his little hammer? Buying an old second hand book and cutting a hole through the middle of the pages is cheap and easy and makes a handy cubby hole for hiding valuables. Word Cloud Art – Website Wordle.net creates word clouds based on words you put in. Simply put in meaningful words and phrases, print out the result and put it in a frame. Artful Household Items – Cleaning equipment, beauty accessories and other normally boring household sundries can be jazzed up with a bit of paint, glue, glitter or whatever else comes to mind and makes a fun present. Mystery Flower Pots – Is it a sunflower? A tulip? Parsley? The recipient won’t know until it grows if you fill a pot with seeds/bulbs and earth and give it to them. Chocolate Slabs – The ones you buy are usually really quite expensive but you can make your own using different types of chocolate and bits and pieces to go in it at a fraction of the price. An excellent way to save money if you’re the person in the family who always makes the Christmas calls to everyone else, especially if some of them are international calls, is to use the internet instead of the phone line. There are plenty of websites that offer free internet calls or how about using Skype so you can actually see them too? 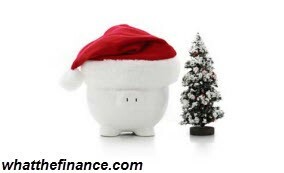 Following these simple tips could add up to saving you a fortune this Christmas. Entry was postedon Wednesday, December 3rd, 2014 at 11:39 pm	under Best Deals Category.You can skip to the end and leave a response. Pinging is currently not allowed.